While we may not be complete history buffs, we’ve definitely been known to nerd out over the past a time or two. Recently, Southern Proper released a line of hats that celebrate three things that we’ve absolutely spent more time than we probably should have researching; SEC Football, Bourbon, and the Masters. 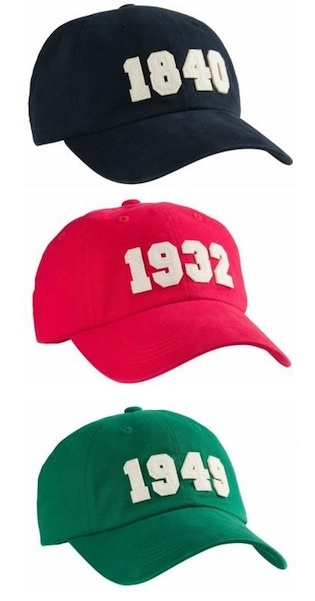 We like the simplicity of putting a date on a hat, and love that Southern Proper didn’t simply go with the year they were founded like so many other brands tend to do. Luckily for us, the three years they chose to feature are three that we are happy to talk about: 1840 (Bourbon was named), 1932 (SEC was founded), and 1949 (first Masters green jacket awarded). Regardless of which hat you’ll choose, you ‘ll end up with one that fits great the first time you put it on, only gets better with age, and is sure to spark a conversation or two.